Cf. | Tamara Tabo | “Only the most ignorant or gullible think what they post on the Internet is or remains private.” Ysasi v. Brown, No. 13–0183 (D.N.M. 2014). 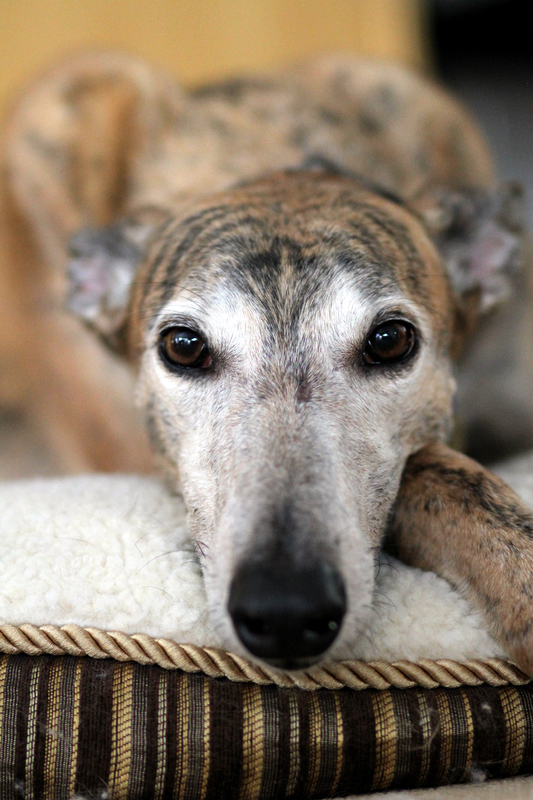 This morning at around 6:30 a.m., my sweet greyhound Holley ended his time on Earth. Holley suffered a paralyzing spinal injury one week ago today. Although he required full-time nursing care, it was an honor to serve a creature who has served me so much over the years. I was committed to helping him transition to a new life as a disabled dog. We took him for wagon rides around the neighborhood to all his favorite spots. After a few days of modest recovery, however, Holley stopped eating. We took him back to the vet yesterday evening, and they helped us to begin preparing to let go. We brought him home, nursing him through the night. My mom, who flew to Houston this weekend to help, and I slept with Holley last night. I cradled him in my arms on the floor. When he passed from this life, I was laying next to him, cuddling him, kissing him, telling him he was a very good boy. My mom was stroking his head. For years, I joked with Holley that he was absolutely, under no circumstances allowed to die. I would tell him — while cooing and scratching his ears, of course — that I would not forgive him if he ever died. This morning, in his final moments, I told him that he was allowed to go, that it was okay for him to go. I told him that I was wrong: I would forgive him. I did forgive him. That he would still be the best dog ever, even if he needed to leave his broken body. Holley, I loved you so, so much. You were a better dog than I ever deserved. You were the best friend I have ever had. Thank you for teaching me so much about love and joy and purity of spirit. You were so much wiser than me, pup. I cannot imagine my life without you. I miss you terribly already. But I was lucky, lucky, impossibly lucky for every day I had with you. Thank you, sweet boy. I work at the Thurgood Marshall School of Law at Texas Southern University, where I run the Center for Legal Pedagogy. The Center systematically, empirically studies what law schools teach and how law students learn. I use what we know about how brains work to inform better choices about instructional design and to help students learn better. This brings together a statistically improbable number of my passions, academic credentials, and professional experiences: law, philosophy, cognitive science, and education. Nothing I write on this site should be mistaken for the official views of the Center or the law school, however. I also contribute to Above the Law. I write a weekly column on law & policy from a conservative-libertarian perspective. My ATL author archives are here.